Downtown Cluj Napoca offers numerous possibilities for relaxation, but also the headquarters of the most important institutions. 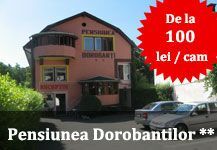 On the roadside of Clinics street are located leading medical institutions in Cluj, where people come for treatment. By 1919 clinics were led by Gabor Engel, a pioneer of gynecological surgery. The oldest building is the Department of Anatomy, which was built between 1888 - 1889 by architect Alajos Hausmann. After this, the surgery, gynecology and maternity buildings were erected, and later ophthalmology, dermatology and the management building. In 1970 the County Clinic was built and in 1990 the Heart Institute. Near Clinics street is an imposing building which houses the Students' Culture House. This was from the beginnings a space for the young spirits, of authentic culture, giving young people an alternative elevated for leisure. Students' Culture House is an environment that develops artistic and moral qualities of the young students, is an event space for cultural experimentation, promotion and affirmation of young talent. Accommodation near the House of Culture of Students and Clinics street is quite varied, with many accommodations and services to suit all tastes and pockets. 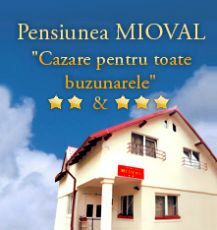 Standard services included in the price are cable TV, wireless internet, central heating, luggage storage and newspapers. For a fee you can have breakfast and laundry services. 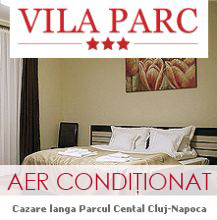 This area is close to the historic center of Cluj Napoca, so from the Hotels can be reached in just a few minutes from the major attractions and sights of the city.